"The Beverly House" Gordon Kaufmann, 1927. 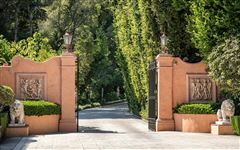 By far the most important and iconic Mediterranean Estate in California. A collectable in every sense. 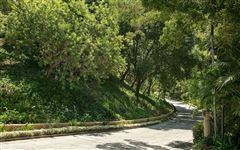 Over 3.5 acres in the heart of Beverly Hills. 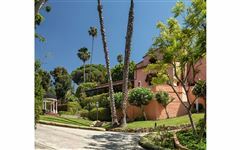 Complete privacy surrounded by manicured grounds, past beautiful wrought iron gates one approaches the main residence by sweeping 800-foot driveway. 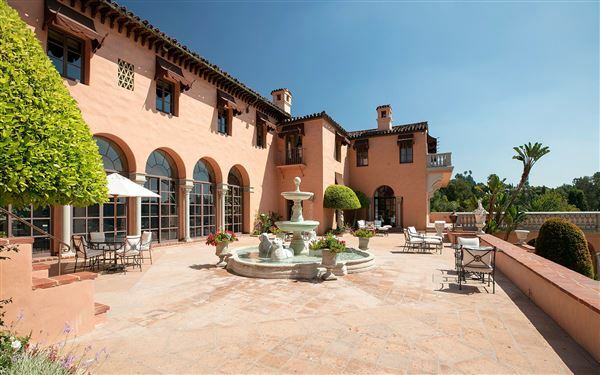 Vast motor court centered by tile fountain sets the stage.